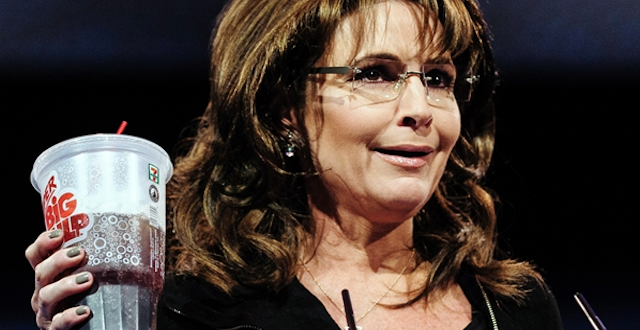 Sarah Palin Rages About Having Been Punked By "Sick, Perverse, Piece Of ****" Comedian Sacha Baron Cohen - Joe.My.God. Yup – we were duped. Ya’ got me, Sacha. Feel better now? I join a long list of American public personalities who have fallen victim to the evil, exploitive, sick “humor” of the British “comedian” Sacha Baron Cohen, enabled and sponsored by CBS/Showtime. This “legit opportunity” to honor American Vets and contribute to a “legit Showtime historical documentary” was requested of me via a speakers bureau. Here is my challenge, shallow Sacha boy: go ahead – air the footage. Experience tells us it will be heavily edited, not pretty, and intended to humiliate. The challenge is to Cohen, CBS and Showtime: donate all proceeds to a charitable group that actually respects and supports American Vets. Mock politicians and innocent public personalities all you want, if that lets you sleep at night, but HOW DARE YOU mock those who have fought and served our country. Truly sick. And as an aside, for further insight into the wealthy corporate enablers of this kind of “joke”, I’ll add that after great costs on our part in time and resources to contribute to their “documentary” the Cohen/CBS/Showtime production team purposefully dropped my daughter and me off at the wrong Washington, DC airport after the fake interview, knowing we’d miss all flights back home to Alaska. After refusing to take our calls to help get us out of the bind they’d put us in for three days, I wrote this off as yet another example of the sick nature that is media-slash-entertainment today. Feel good and manly about your M.O., Sacha? By the way, my daughter thinks you’re a piece of ****, Sacha. Every honorable American Vet should feel the same.